Wood comes from trees, but when designers consider making an object using wood they usually think of flat, straight, smooth pieces of timber. The material becomes so processed that it no longer resembles a tree and thus all associations of a naturally grown material are lost. 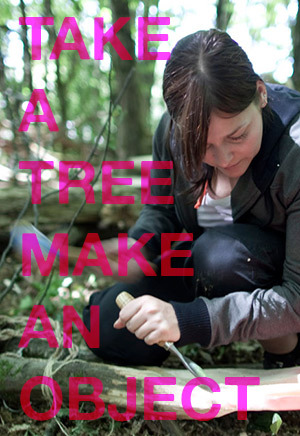 Design and make an object using a tree. 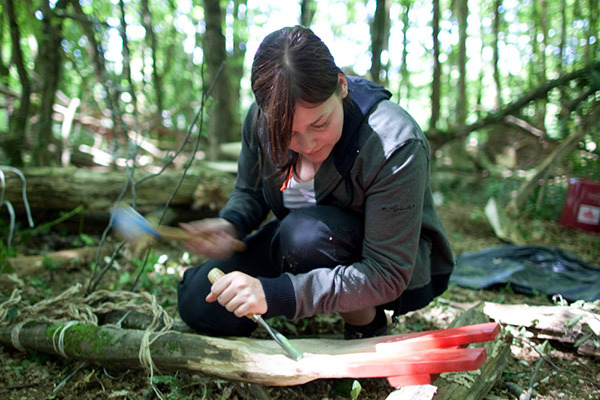 Roots, trunk, bark, branches, twigs and leaves are all available. Summer Workshop at Boisbuchet 2009 led by Max Lamb. The swing shows a metamorphose between natural green wood and manufactured wood lath. Piece unique.